One of the major tasks after renting your property is to make sure that you are prepared for house emergencies that may come up in your rented property. While your tenants living in the house will have an important role to play in dealing with any emergency, it is up to you the property owner to make sure you provide your tenants with what they need to know and how to contact you and emergency services if an emergency arises. 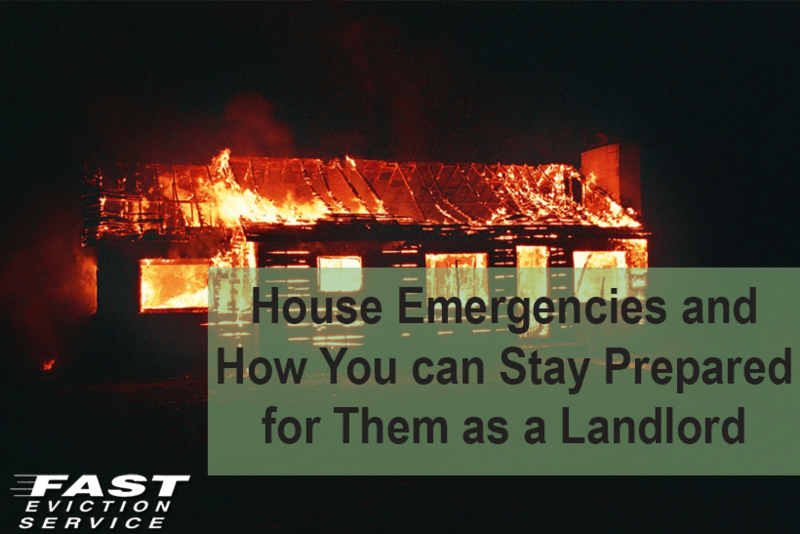 Here are a few tips to help you stay prepared for any house emergency as a landlord. You should sit down and compile a list of all the emergency contact numbers which might be useful when an emergency comes up. The contact numbers of the fire department, health services, police department, the gas company, the electricity company and even the poison control department should be on that list. You should make sure that the tenants keep the list in a place from where it could be easily accessed so that they can contact the right company/department for any emergency. You would want your tenant to inform you right away in case there is a gas leak or in case there is a burglary in the house. However, you won’t want your tenant to be disturbing you in the middle of the night for a small water leak in the bathroom. So, while it’s important to give the tenants your emergency contact number, it’s also necessary that you let them know in clear terms when should they contact you on that number. In case of issues with the wiring in the house or in case of water leakage in one portion of the room, you would be responsible for coming up with a solution and you would have to do it quickly. Knowing plumbers, electricians and even locksmiths would prove handy in this situation as you can easily call them in an emergency and trust them to sole the issue as soon as possible. Your house’s insurance would only cover damage to your property and would not cover any damage to your tenant’s possessions. Therefore, you should bring this into the tenants’ knowledge before they move in. You would be better off actually if you would make your tenants buy renter’s insurance before they sign the contract and move into your house.